A multi-talented light-weight vehicle, where the bed has been designed to accommodate a variety of task specific attachments. If the basic flatbed is removed, the body of the lorry can house drum carriers, winching units or the custom built welfare pod. The welfare pod attachment provides an additional 8 seats, a table, 2 toilets, hot and cold running water with soap dispenser, plug sockets with USB charging points and microwave. 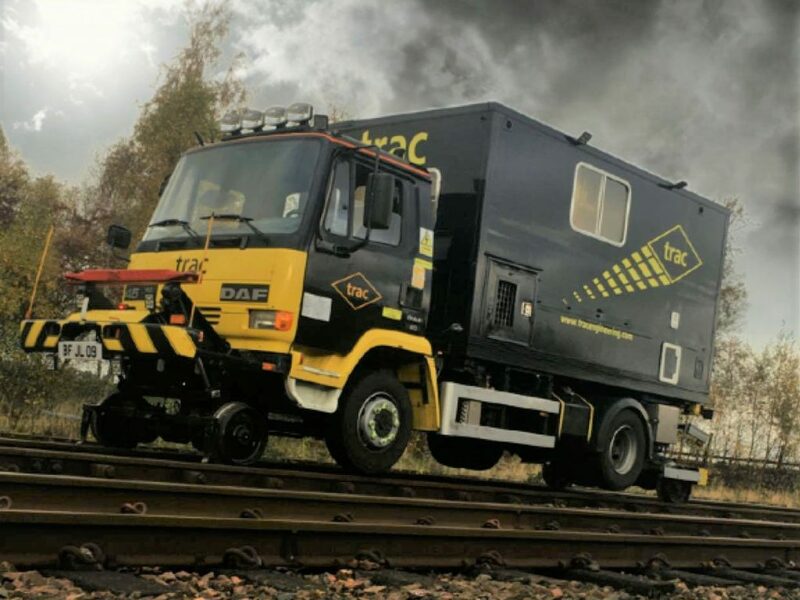 The short profile of the DAF 45 makes it more versatile than other road rail lorries at access points on narrow roads or with limited turning space.